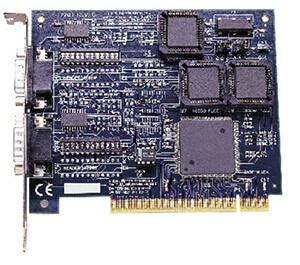 The OMG-COMM232-PCI provides two RS-232 serial ports for control and automation applications. The onboard interrupt status port provides maximum Windows flexibility. The OMG-COMM232-PCI includes the 16550 UART, providing a 16 byte FIFO to keep your datacom applications running error free. The 16650 UART, featuring a 32 byte FIFO and the 16750 UART, offering a deep 64 byte FIFO are optional for high speed applications. WIN XP/Vista/7 drivers are included as well as support for Linux. The drivers provide IRQ sharing, advanced UART support and serial diagnostic utilities.